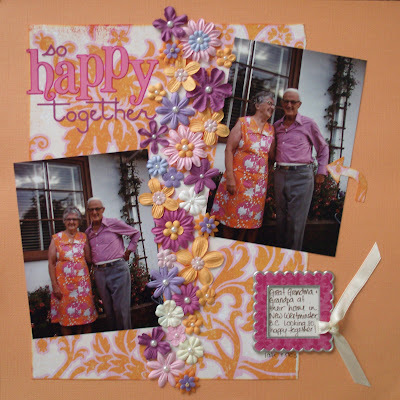 Second, here's a couple layouts I photographed a while ago and haven't gotten around to posting. 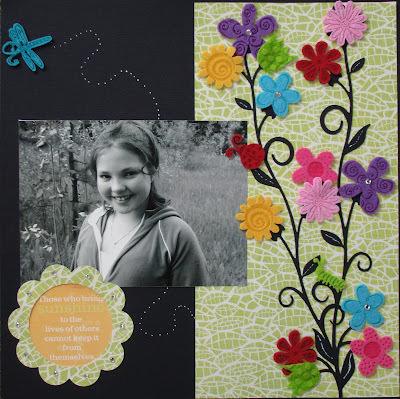 Tanya created this eye-catching layout with a 12" vine border by QuicKutz and a pile of felt blossoms & bugs by Queen & Co. Doesn't it look sharp on that black background?